"I came to Dr. Moss for treatment for my Feet & Ankles in April 2014. He suggested that a fusion of my foot called a triple arthrodesis would be the best due to the deterioration in my joints. I had the surgery on July 9, 2014. I was down for a little while, however, little by little I started to notice improvement. He did let me know that it would take some time to return back to normal activity. Now I am back at work, full-time, and glad I went through the surgery. Thanks to Dr. Moss and his entire staff! They are the best! "I would like to say thank you to Dr. Hassan. My husband and I really want to say she treated us with respect and not as a child. She was sweet funny and kind. I also want to say to the whole office staff, Thank you so much!. You all have made a friend for life. Dr. Moss thank you for adding her to the practice!" "On August 27, 2014 I had foot surgery to correct painful hammertoes. I am pleased to say that the care I received by Dr. Mark Moss made the whole process much more tolerable. Now I understand how he has earned the "Sterling Reputation" that he has as an excellent surgeon with excellent outcomes. Dr. Moss and his staff relieved so much of my anxiety and concerns by making me feel free to call him and his staff anytime I had questions or concerns. Patricia, the front desk coordinator, went above and beyond the requirements of duty when I had pain issues or questions regarding what I was going through. She was there to reassure me and to contact the doctor whenever my medical needs required it. Donna, his medical assistant, combined excellent professional skills with compassion to hold my hand when I was apprehensive about follow-up procedures. She reassured me that the brief discomfort would relieve my symptoms. Connie and Mrs. Doye were also part of the team and worked with the other professionals to meet my medical and emotional needs. The organized, reassuring approach of the entire staff served to make my experience a positive memory and one that I will recommend to anyone that I know facing this type of painful issue. I will always be a "cheerleader" for Dr. Moss and his team!" "In September of 2013 I had a total ankle replacement with the STAR Ankle Implant performed by Dr. Moss at Memorial Hermann Southeast Hospital. Dr. Moss really cared for me as a patient and took the time to explain how the surgery, recovery, and rehab would work. The care I received from Dr. Moss, his staff, and the hospital staff was excellent. The recovery process has been slow, but they have continued to work with me to promote the healing of my ankle. Physical therapy aided in restoring my ability to walk, as well as to improve the range of motion for my foot and ankle. 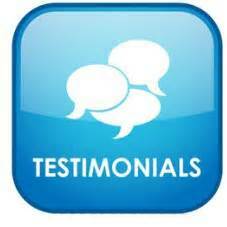 I highly recommend Dr. Moss to anyone that is experiencing foot and ankle pain." "I had been active in sports for as long as I can remember. I was one of those “some kind of sport all the time” kind of guys. I played hard. I didn’t let, what I thought were minor injuries, keep me down. Well, it finally caught up with me. Both of my ankles had become severely abnormal. My right ankle I actually broke and didn’t know it. I quit playing competitively at age 45. I continued to work out and stay active. Both ankles were always in annoying pain. I went to a couple of specialist and I felt more like a number than a patient. My wife and I prayed for a doctor that could help. Our prayers were answered. I was given a recommendation from a reputable source to see Doctor Mark H. Moss. My wife attended most of my appointments with me. We were greeted warmly by the staff. Dr. Moss was very warm, professional, and to the point with me. After the x-rays and MRI’s Dr. Moss said most people he sees with ankles like mine were in a wheelchair. So you see, my ankles were really in bad condition and presented a challenge for Dr. Moss. We had heard he thrives on challenges, and I was happy to oblige. He gave me my options. Because we are still active, it was decided to have both ankles fused. I was a bit nervous but Dr. Moss assured me I would be pain free. The procedure for the first ankle was done on July 19, 2013. One of Dr. Moss’s interns, who was in the operating room during the procedure, wrote a paper on my unusual ankle. After the first ankle healed and was about 90% well, I had the procedure on the other ankle done on December 16, 2013. It too had its challenges. It was worse than the first. Now, I am now pain free. Not quite at 100% yet, but surprisingly to me, I walk normally. I will tell you I recommend Dr. Moss 100%. My ankles were really messed up. I should have done something a long time ago. Dr. Moss fixed my ankles. I know he can help fix anything on your foot or ankle. I am so grateful to the whole staff at Coastal Foot and Ankle. They made everything easy for us. They handled the insurance, paperwork, x-rays, setup the surgery, and awesome therapy. Thank you to Doye, Donna, Olivia, Connie, and Patricia. Doctor Moss you are truly a God send for me."